Miroslaw P. Ruka, D.V.M., Ph.D. The Cambridge Center For Medical & Veterinary Sciences Inc.
Veterinary Practitioner, he has joined a Polish Academy of Sciences, its Department of Experimental Surgery and Transplantation (Dr. W.L. that natural antibodies interacting with endothelial cells of the xeno-graft were responsible for the graft hyper-acute rejection. and recipients; crystalloid and colloid fluids therapy; diuretic therapy (mannitol, furosemide); angiography; urography and lymphography. use in a reconstruction of the trachea and oesophagus, respectively. Felocell CVR, Fe IV, and Rabies. also been, as stated above, involved in clinical program of organ transplantation into human recipients. kidney, liver), and mechanisms of organ allo-/ xeno-/ rejection in various animal species (dogs, cats, pigs, rats). cold storage using (31P)-MRS and (1H)-MRI techniques. 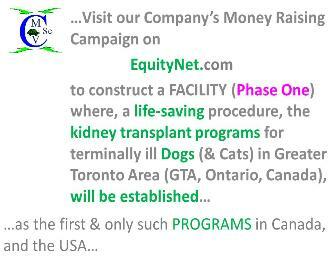 Canada) a Comparative and Clinical Veterinary Transplantation Group. and comparative transplant surgery / medicine within the CCCM and with other Universities, Hospitals or Medical Centres. further intervention in a suture removal after 7-10 days post-surgery, in contrary to the traditional use of non-absorbable suture materials. individuals involved in surgeries, and (4) to reduce the cost of surgeries. to calculate SD (Standard Deviation). (7) use of a proper medical terminology e.g. ovariohisterectomy, testectomy in a clinical setting. 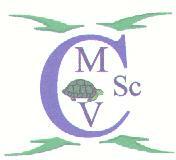 The International Clinical & Comparative Medical & Veterinary Sciences Journal (ICCMVS Journal, 2010 - present, Dr. M.P. the form of poster / oral presentations, and published as regular articles , proceedings or abstracts in refereed journals. on the subject of surgery, organ transplantation and transplant related immunology. research and teaching activity(s) have been published (83 publications). Copyright 2017 © The Cambridge Center for Medical & Veterinary Sciences Inc. (CCMVS). All rights reserved.